Reebok Women's Shoes Just $27.49! Down From $65! Shipped! You are here: Home / Great Deals / Black Friday Deals / Reebok Women’s Shoes Just $27.49! Down From $65! Shipped! 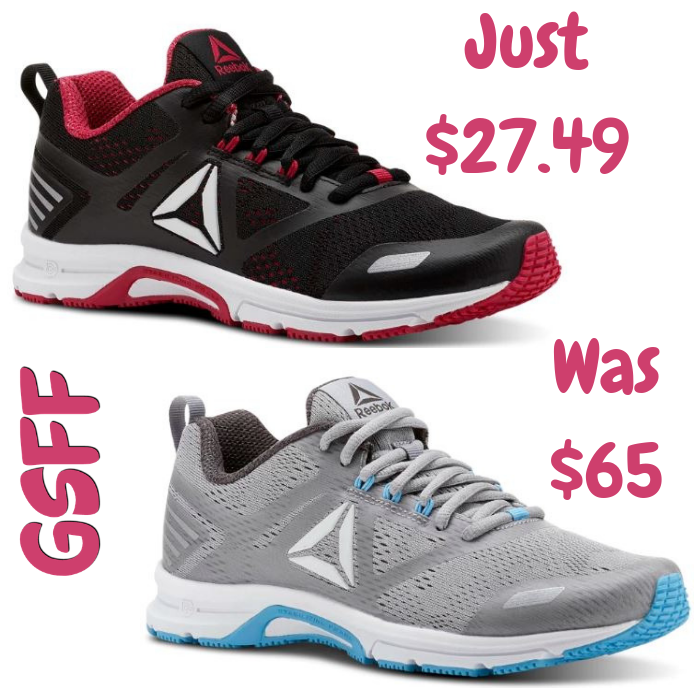 Reebok Women’s Shoes Just $27.49! Down From $65! Shipped! Head over to Reebok.com where you can score this Reebok Women’s Running Shoes for just $27.49 down from $65 when you use promo code BF18 at checkout PLUS FREE shipping! Bump up your quality miles with the Ahary Runner. These neutral running shoes support each stride with precision-measured forefoot grooves that deliver a biomechanically efficient, smooth ride. Engineered in deluxe camo mesh and hit with reflective details, their sleek look and breathable comfort are a great fit for 5Ks to 5-milers.